Hi! This is my DT project for this week's anything goes challenge at Inspiration Destination. One of our sponsors is Robyn's Fetish Digital Stamps and More. 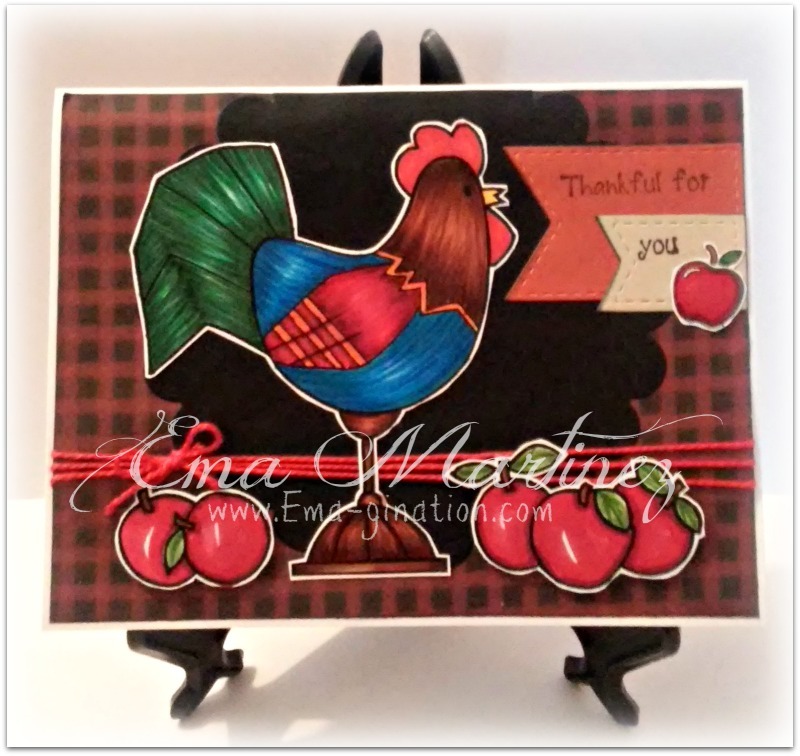 ﻿This is Rooster n Apples from Robyn's Fetish. Image is colored with Copic markers and American Crafts Galaxy marker in white medium point. 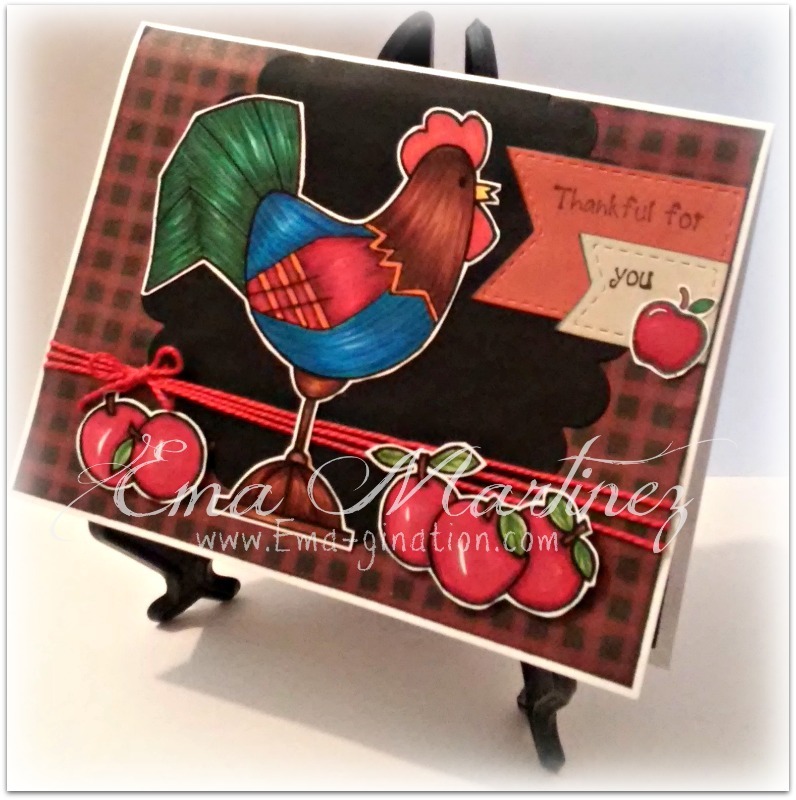 I've used Spellbinders Nestabilities Classic Scalloped Circles SM and banner dies and sentiment from La-La Land Crafts April monthly kit. 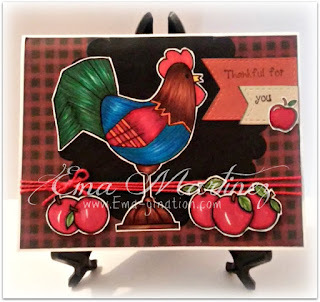 The small apple on the banners is from a clear stamp set at Raisin Boat called Favorite Recipes. Pattern paper and embroidery floss is from my stash. Cute card! Love it! Thanks for playing along with us at CYPC! 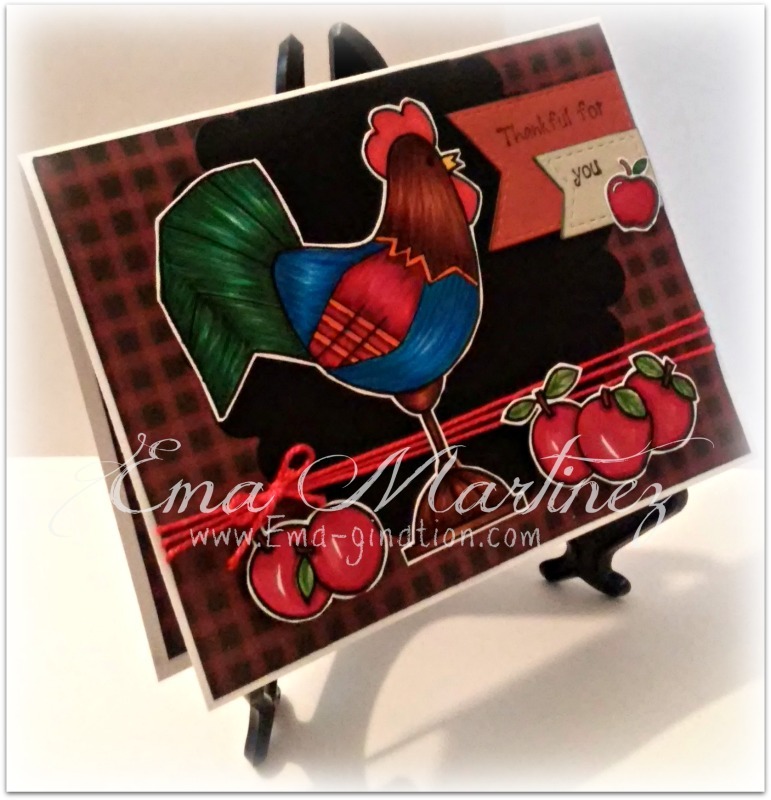 I know you love rooster and this one is fantastic. I love the bold colors.